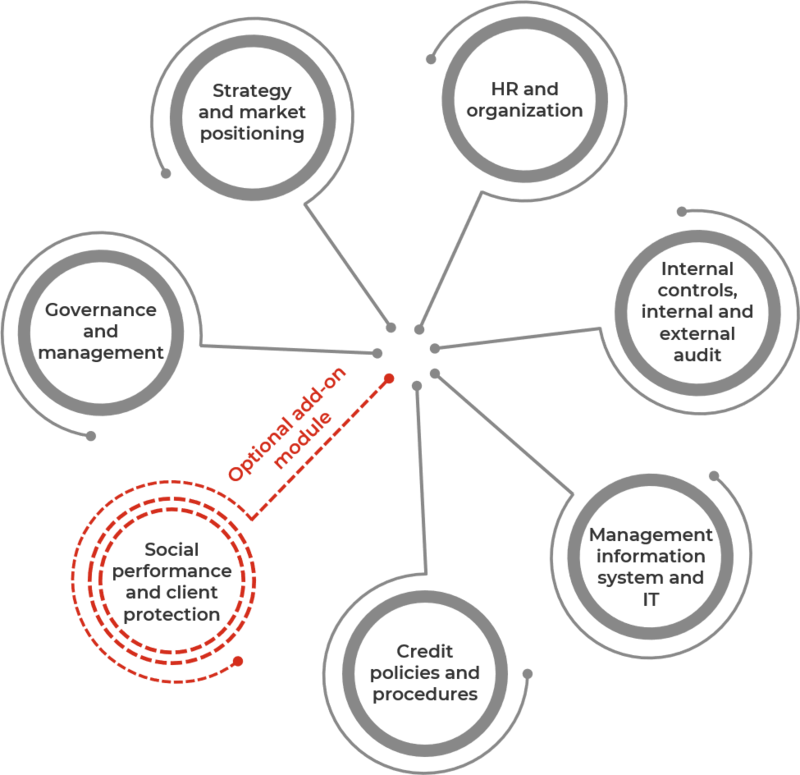 The Institutional Diagnostic (ID) assesses the level of development of the financial service provider through a detailed analysis of institutional aspects, operations, systems and controls and comparison with international best practices. Greenfield or less mature financial service providers that might have not yet achieved institutional sustainability. The ID identifies main internal weaknesses and areas for improvement and provides guidance remarks for operational and management systems’ strengthening. The analysis is mostly qualitative and process-focused and factors in the financial service provider’s level of development and risk exposure. Current practices are compared to international best practices and context-related aspects. The Institutional Diagnostic combines off-site and on-site activities as described in the chart below.